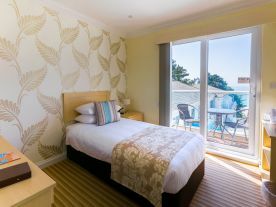 Our premium sea view rooms with balcony, are large rooms with a king size bed, with some rooms containing an extra single bed. 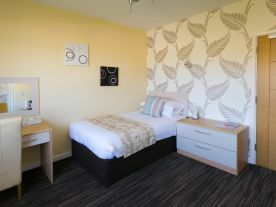 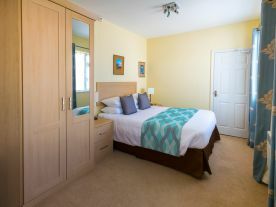 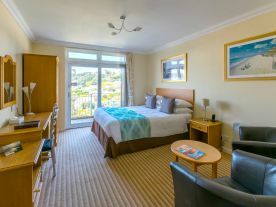 These large rooms have breathtaking views of St Brelade’s Bay. 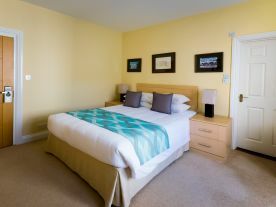 A Sofa Bed suitable for 2 primary school-aged children may be available on request (please inquire prior to booking).